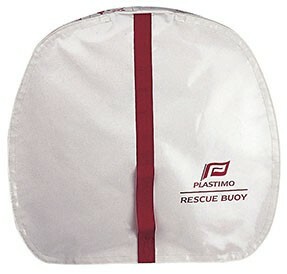 Simple and ingenious, the Plastimo Rescue Buoy is a clever and simple man overboard recovery aid. 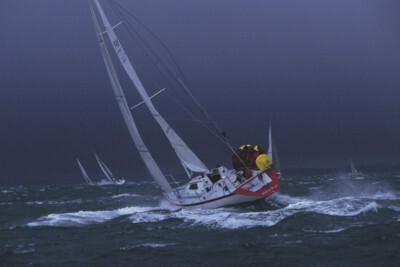 The principle is extremely simple : attach permanently a regular horseshoe buoy to a properly coiled lifeline ; when the buoy is thrown, the line pays out quickly, without tangling or fouling. 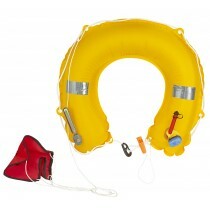 Horseshoe lifebuoy, 147 N buoyancy. 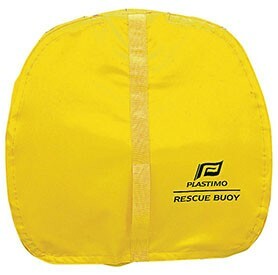 40 m of yellow floating retrieval line. 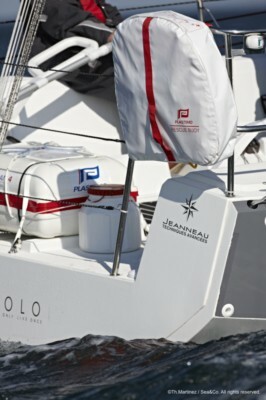 Coated fabric storage bag, impervious to UV-rays, fitted with clips for attachment to pulpit. Breaking strain of line : 400 kg. Dimensions : height : 60 cm, width : 65 cm, thickness : 14 cm. Weight : 2.3 kg without light. 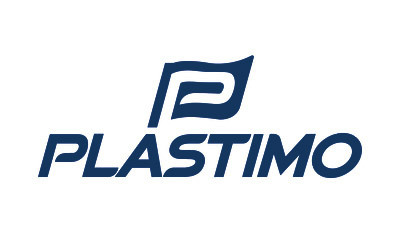 Zipped cover, 3 colours. 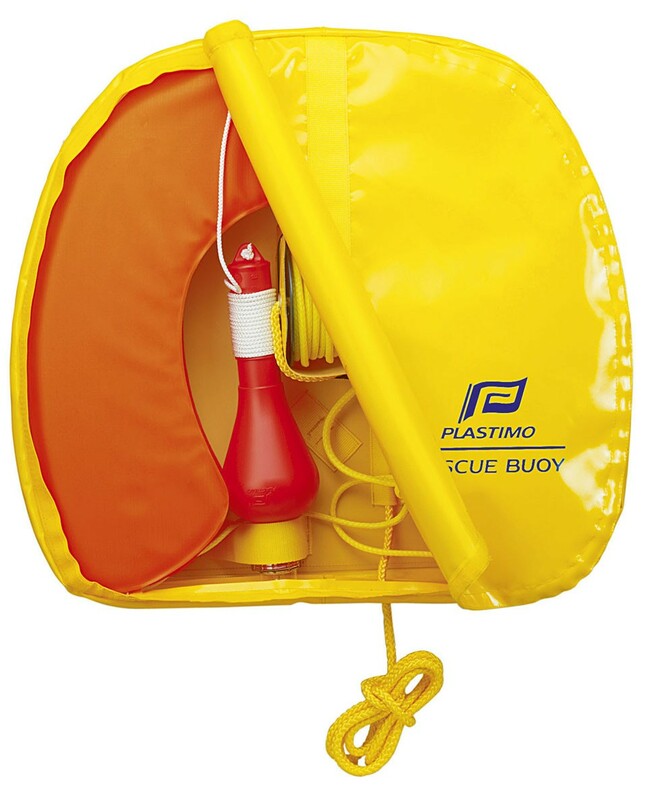 Buoy alone or complete set with light and st.steel bracket. 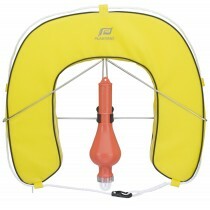 - ABS canister containing the horseshoe buoy. The canister is attached to the holder by a lanyard. In the event of a man overboard, throw the canister towards the victim. Deployment will occur when lanyard is fully tensioned.